The LottaBreeze Capri Skirt transcends the seasons. 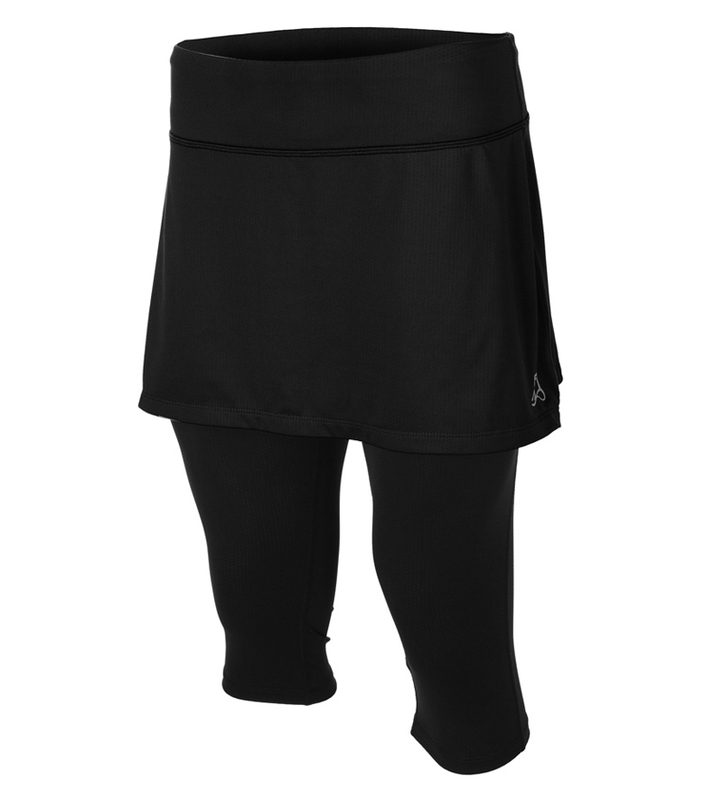 Her all-mesh, knee length capris add warmth when needed while effectively wicking away the sweat from a long run. Her playful mesh skirt is pure fun, making her a perfect option for a workout or to wear around town. The wide waistband yoke creates a tummy tuck effect, slimming your feminine curves. The motto of this Skirt is "If it's not fun, it's not worth doin'!" The LottaBreeze Capri Skirt will give you the audacity (dare we say!) to readily pass a guy on the run and acknowledge it with a quick flip and wink. Designed by flirty, free-spirited women to bring out the flirty, free spirit in women. Skirt fave feature: The playful mesh Skirt is just so darn fun! AND the two hidden pockets on the leggings under this Skirt hold music players, keys, gels, phones and more.